Simple slingback shoe in stone satin with leather lining & insole by Menbur, Spain. 3" satin lined heel with a stunning dusky pink feature rose at the toe. Adjustable elasticated buckle at the ankle and padded insole for extra comfort. 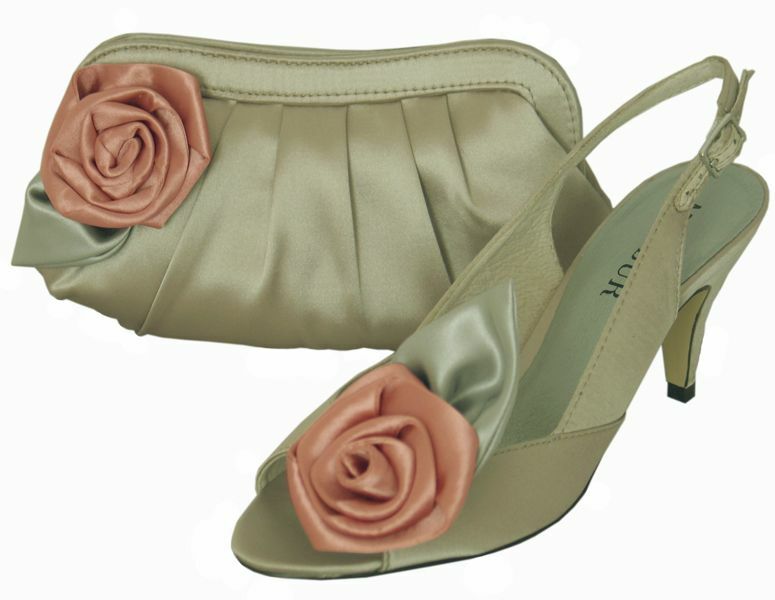 The shoes also come with a matching soft clutch bag in stone satin by Menbur, Spain. Pleat detailing & a stunning dusky pink feature rose at the side of the bag. Small chrome chain enclosed. 23cm wide x 12cm tall.